Posted on June 4, 2018 by admin in - WOW! Josef Albers, who was a founding member of the Bauhaus, played a pivotal role in the development of the modernist aesthetic. He experimented vastly with form, line and color to explore visual perception, and paved the way for the minimalist, optical and hard-edge movements that would follow him. 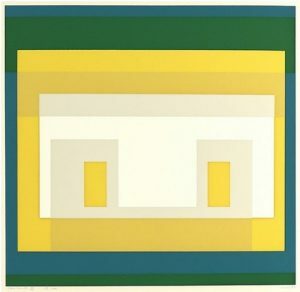 While widely known for his Homage to the Square portfolio, which he spent decades exploring, Albers also spent significant time and energy on his Variant/Adobe works. The mention of “adobe” might evoke, at first, a computer software giant. 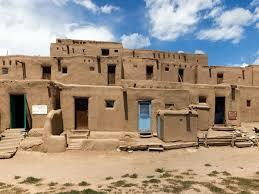 The word originates from Spanish, meaning mud-brick and is among the earliest of building materials. It is also used to refer to an earth-based construction. These traditional structures were a source of great inspiration for the modern artist and color theoretician Josef Albers. Beginning in 1935, the artist traveled to Mexico over a dozen times. He would visit and document in black-and-white photographs pre-Columbian ruins. “Mexico is truly the promised land of abstract art,” he once wrote to his former Bauhaus colleague Vasily Kandinsky. The art and architecture of Mesoamerica were the driving forces behind his most important works and series. This week’s Work of the Week! WOW! is Variant II, from 10 Variants inspired by Adobe constructs. Albers 10 Variants are a suite of 10 distinct screenprints, each varying in size and color, all based on similar geometric properties, which is true to its origin of the abode constructs. 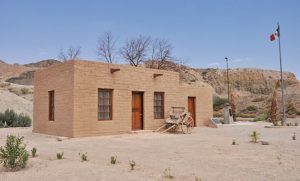 The adobe buildings are typically unadorned with vertical, rectangular openings, which allowed Albers to easily strip the form down to its basic geometric elements. 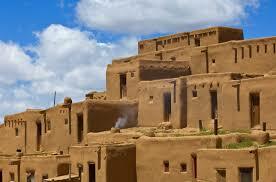 The work imitates these structures, composed of multiple, interlocking and overlapping rectangles, reflecting the facades of Adobe houses, with two windows on either side of a doorway. 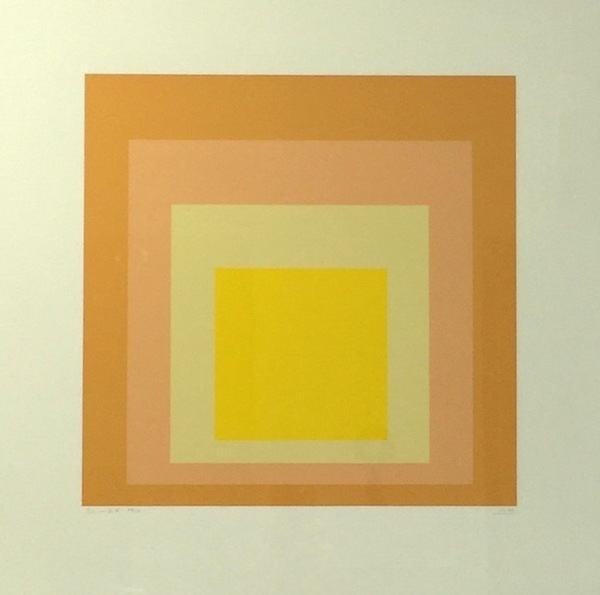 Josef Albers sees shape, form, space, color, and geometry, in nature, and in the accent civilizations, and brings them to the forefront in modern art. His works reset the tone of the modern era, while paying its respects to a historical context, that can not be ignored. Posted on August 8, 2016 by admin in - WOW!